#1,515 Goodnight, Jay Leno. – Laurel Mercantile Co.
Now reading: #1,515 Goodnight, Jay Leno. 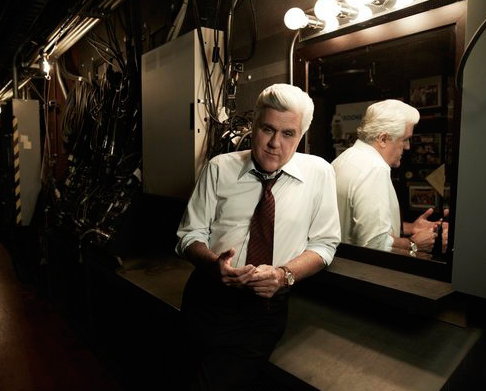 I hardly ever watch late night talk shows, but tonight we watched Jay Leno’s farewell episode and I was surprised by how it made me feel the tiniest bit sentimental. I think Jimmy Fallon will rejuvenate the show, for sure. Not that I’ve seen more than a couple episodes of his show, but you know. I think he’s funny from what I can tell. Even though I’ve never really been a frequent viewer of the Tonight Show, Jay Leno was a major part of the pop culture scenery of my life. He’s been there 22 years, and I’ve only existed for 28. So. He’s the only Tonight Show host I can recall from my own experience. And it was cool to be able to watch him say goodbye. I was fine until the end when he got serious and emotional. Did you watch it? #1,514 Slipcovers + Walker + Rose Gold.